Oh no, approaching dinnertime and fridge is completely empty.Especially as today is the day when we have visitors. We reallyneed to prepare something quick and delicious for everyone to besatisfied. Help this cute chef girl to prepare the most deliciousLasagna with cheese and tomatoes by passing several steps that willattract your interest. First, you need to go into the garden andgather all the ingredients for the meal. We start with tomatoes,peppers, onions and finally we finish with parsley to give the mostdelicious lasagna taste. Once you've done all of this, you can saythat you passed level 1 of the game. Then, like any housewife, thiscute girl must choose the right clothes for the kitchen. Here itdepends on you to choose what is right and in the end you will passto the the food preparation. Now, take ingredients, cut them, mixthem, put them in the oven and take them at the right time to getthe most delicious lasagna with cheese and tomatoes. 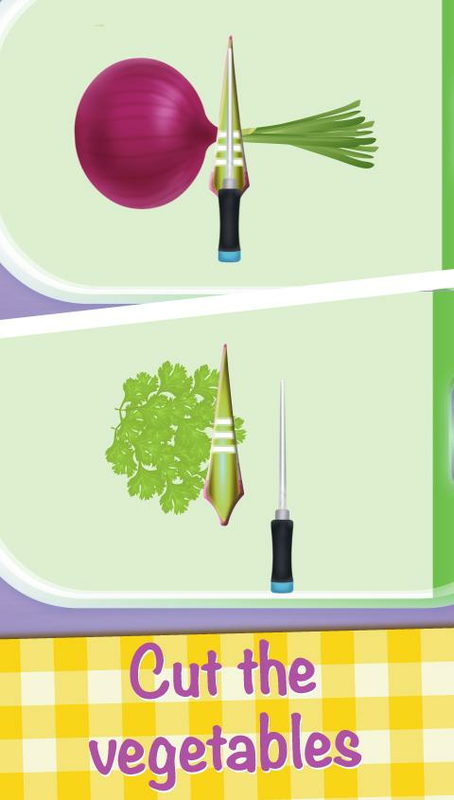 How toPlay:This cooking game is not complicated, they are not necessarymany and complicated actions, being very easy to play in the truesense of the word. All you have to do is to guide the housewife tothe ingredients needed to cook the food. During this time you willbe helped by useful arrows that will guide you throughout the game.Also, the menus are very descriptive so it will not be difficult tounderstand what is happening. Finally if you want, you can playagain the game and don't forget to share this game with yourfriends! A new amazing game is ready for you. Fairytale Princess Dress Up isprobably one of the most colorful game you played, a fairytale gamewith a beautiful princess who is looking to have a perfectlook.Enter in this amazing world with a lot of fairytale princessesand enjoy it. You will discover many beautiful things and you cancreate a favorite fairy princess. We hope this is a perfect gamefor the children who need some amazing adventure.The story of thegame begins like all princess games, when the princess is in herwonderful world and she is looking to go at an important party withher friends, of course she must be perfect by all points of view.Here appear you, your mission is to dress up the princess and ofcourse makeup her, just make her to shine. Like in all princessgames, you have a lot of dress up items, we selected for you somebeautiful clothes and accessories. Fairy wings isn’t missing, justtry to fit the clothes with makeup and wings. At the first levelyou’ve to choose the hairstyle, eyebrows and other important makeuppoints, be careful and choose attractive colors for a realfairytale princess. Princess Dress Up games are coming with manyfeatures, but we provide you a simple and beautiful game, acolorful game which can be very easy to play. We are looking toimprove the gameplay with your feedbacks and please don’t stop totell us when you find some problems. Features of Fairytale PrincessDress Up:- Colorful game;- Many makeup items;- A lot of dress upitems;- Free to download;- Updates soon;How to play:Because thelittle children can’t play complicated princess games, we developonly easy to play games where they have only to select the items orthe colors. Thank you for choosing our game, we hope you will havesome little fun. If you found errors, just contact us, for thefuture we try to be the best. This is a free game but, includesads. “My burger shop” is our latest game created by Pineapps team forchildren of all ages.It’s a lovely restaurant stimulation game thatoffers you the possibility to create a vision of a small business.Everyone loves burgers and hotdogs, right? Everybody buy a quicksnack from fast food, right? So, at this moment, the mostprofitable business is opening a fast-food restaurant in your town.For start, a BURGER SHOP! Now this is your business! You have towork hard to make more money to expand your restaurant! You areyour own boss! You must manage your business as you wish.First youwill have 30 days to develop your burger shop, to build theclientele, to make some pennies. At the beginning of each day youwill need to create a target, which will be your purpose toaccomplish. You will have between 5-25 clients per day. You shouldtry to give them exactly what they order. You will have to sell hotdogs, burgers with cheese, meat, lettuce, onion, tomato, cucumber,fried potatoes, juice and coffee. You have to be careful! Yourproducts will end and you will have to do restock on time. You willmake so much money that you will be able buy new products to buy,for example muffins, donuts, new trays , natural juice. Also youwill be able to renovate your restaurant, to buy new furniture. Youwill be able to expand your business. So, let’s start to make somemoney ! Don’t forget to share your business with your friends onFacebook!Game Features:- Free to Download- Stunning graphics withamazing music and sound effects- An unique Burger Shop- 30+levels to complete- No signup's required, just download andinstall- More then 20 types of burgers to sell- More than 40clients- Free updates with new products, decorations, themes andmore!- Share your business with your friends on Facebook!Aboutus:If you have ideas for new games, or suggestions about how toimprove our games, do not hesitate to contact us [email protected] or to tell us in a comment!Our team willbe happy to put your ideas in practice. So let us know about yourthoughts. Sherly is a house girl and she doesn't need any help from any cityplumbers because she is a very smart girl and the only help sheneeds is from you! Her kitchen is a mess and this because somepipes have broken and all the water came inside her kitchen allover the floor and over the kitchen furniture!Now it's time toclean up using the sponge, furniture spray and all other cleaningtools until the kitchen will shine again, but this only after allthe pipes will be repaired!If you will open the fridge you'll alsosee there a big mess also so throw all the trash to the containerand clean up the fridge!After the kitchen is clean and all theproblems are fixed it's time to start cooking! You'll prepare avery delicious spring rolls and you have to be careful at theinstructions because we're very little and we don't know alreadyhow to cook!One big thing that we know it's to decorate, because wealready know that you are little designer, so we'll give you a lotof decorating models to play with!Hope you will like this game!Weare here to listen your feedback if there is something wrong withthe game, because in this way we can create better free girl gamesfor you.Share the games with you and visit us on Facebook to findout more free girl games! This cute blonde girl fell in love for the first time in her lifeand is very enthusiastic and very happy because she will have herfirst date with her crush. She is a very shy girl and she has manyemotions. She needs your help because she is not fashionable andyou are the perfect person for that. Transform the little girl intoa star! She is a very beautiful girl, but she needs your skill toput her features in the spotlight. After you spa, make up,hairstyle and dress up her you will find how beautiful and gorgeousshe is! Let’s start the game because you do not have much timeuntil the lovers are dating. Let's see how she will look likebefore and after! ♥ Spa Salon and Make Up ♥In this room you willapply the special creams for her face. You'll help her get rid ofthe pimples, you'll drop her dental device down and then give yourblondie friend a spectacular makeup. She will have a ultra glammakeup!♥ Hairstyle ♥She definitely needs a new haircut. Cut thehair, then prepare her hair for dyeing and arranging. You can playwith what olor and shafe you want for hair. You can do someexperiments until you choose the right one. Make her a trendyhairstyles for because she need to look stunning for her futureboyfriend. ♥ Dress up ♥Now it’s time to find the perfect outfit.Choose a dress as fashionable and as elegant as possible and gaveher the most brilliant accessories. Do not forget the shoes! Choosea pair of heel slippers.She will be the most beautiful girl in theworld and her crush will be extremely surprised due to your help.Save and Share photo of this beautiful blonde girl.Hope you likedthis game! If you really do, please don't forget TO RATE and writea COMMENT, because in this way we can make our games better foryou! Also don't forget to share the game with your friends! In a world of fantasy every princess must be the most beautiful andit's your time to be the most beautiful little princess in thismake up & dress up game! You will be amazed how beautiful youwill look like after you'll spend some time at the spa!A lot oftreating masks for your face, because it seems that you have somepimples, but this is not a problem because will be removed inseconds and of course a mask for your beautiful hair!The fairysalon will be gifted with all the necessary tools you'll need toget out from there like you never been before!After that spa salonyou need to go to the next room where the make up will take part!Here you will have a lot of beauty tools and you can use whateveryou want! Here are some tools you can use!- eye pencil- blush foryour cheeks- lipstick- you can also make some tattoos under youreyes- contact lensesand more. Each tool has minimum 5 options touse!After all this is done, here comes the place where it's up toyour imagination how to use it! The dress up part where you canchoose from a lot of clothes and other fairy accessories which canmake this princess the most beautiful from all around the land!Hopeyou liked this game and don't forget to write us a review, becausethis is the best thing for us to improve our games for you! Also ifyou really liked it, don't forget to share it with your friends! This beautiful mermaid needs your help! You are very good atfashion, you are really a diva! So you're the right person for ourlittle princess. Tonight she will go to the ball with her adorableprince. She needs to impress him! Help her get ready to be theprettiest mermaid at the ball.All you have to do is to brush herhair, to make her facial treatment, to choose her the hair color,to make the perfect hairstyle and choose a special outfit. Theparty will be at the royal palace of the sirens. So there will be alot of mermaids, princesses, kings, queens, knights and many othersroyal families. Surely your cute mermaid will impress everyone. Shewill be the princess of the ball! Her prince will be proud of her.This game has 3 parts. The make-up part is locked. To unlock it youneed to make 500 stars.Download this free game and have fun withthis beautiful mermaid. Soon you'll compete to a big contest with your horses and ponies,that is why you need to take care of this cute animals.You have twohorses and three ponies, each with different color and bodysizes.In this new horse and pony game you need to take care of eachhorse and each pony. What does this mean?Well, you can select whathorse or pony you want and after that you'll go to the barn wherethe beauty will take part. For each horse or pony you havedifferent task to accomplish.For example for some ponies, you cancut the hair and after that and for other ponies or horses you canalso wash their ridge. Try it now and you'll be amazed how realthis game is!After the beauty part is over you can start dressingup the horses or the ponies with whatever accessories you want.Youhave a large collection of accessories like:- new ridges- newshields- different ridge colorsand others!This is just a simulationuntil the contest will take part, so dress up each horse and ponyin different ways and see which is the most beautiful, so you cannow when the contest will take part, what accessories to use!Hopethat you liked our latest game and please don't hesitate to writeus a COMENT and RATE IT, because in this way we can make bettergames for you.Also don't forget to SHARE the game with yourfriends! Give your inner chef a new challenge with this great cooking game!Here you can prepare and make your lasagne ready for eating. Youget to boil the pasta, prepare the ingredients and cook youringredients before plating it up and eating it all. Yum! 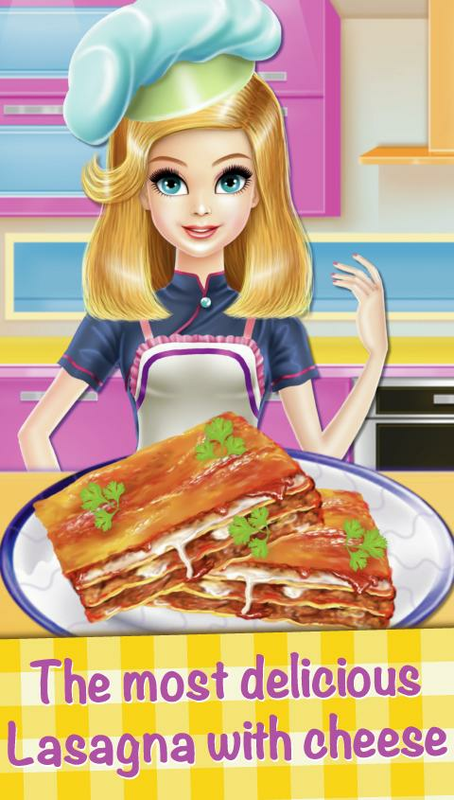 So muchcooking fun to be had with this great lasagne cooking game! Try itnow! Features Boil the pasta to make it nice and soft ready foreating. Prepare your ingredients ready to make your lasagne tastegreat. Simmer and cook your ingredients in a pan ready for serving.Choose your plate, fork and drink to complete your meal and getready to eat. Drink your drink and eat all your lasagne beforecooking another delicious meal. It’s time to cook the classic cheese lasagna and the best thingabout it layering it with cheese, sauces and pasta! Everyone lovescheese lasagna and it’s traditional. Take your time in the groceryto pick the right ingredients and then bake it to thefinest!Features:* Shop all the ingredients required for therecipe. * Purchase some food from vendi with the gold coins. *Prepare, mix and cook the ingredients to make lasagna. * Layer bylayer add the ingredients then bake. * While waiting wash dishes andwait until lasagna is cook. * Decor your lasagna for your taste. Lasagne soup is a perfect meal for any day of the week and with thelasagne soup cooking game you can easily create the perfect cookinggame that will make your insides warm and challenge yourself as acook! Here you can easily prepare each ingredient ready for cookingincluding the meat, tomatoes, garlic, chilli, onions and cheese!Cook your ingredients in the finest kitchen until it is steamingand golden brown! Add the extra cheese and basil leaves to the topof your soup and smell the tasty smells as it sits on your kitchentable. The best part of all is you get to eat all your lasagne soupup and get to prepare another one with this fun Lasagne Soupcooking game! Hello Happy kids! Everyone loves Pizza right? Junior games studiopresents all new kids cooking game Supreme Pizza Maker for youngchefs out there! if there no pizza place near you no problemsatisfy fast food craving by making your own delicious pizza inkitchen.Top it up with various mouth watering topping meat &veggies options. Practice your cooking skills & learn newcooking techniques to rise as the best junior chef in this funkitchen cooking game. Unleash your creativity Garnish your pizzawith mozzarella cheese, spicy sauces & other yummy ingredients.How To Play Select favorite fast food snack to cook first fromsuper pizza menu. Supreme Pizza maker - make dough, roll to get aperfect round pizza shape choose from a huge selection of pizzatoppings (meat, salami, chicken, fish, onions, tomatoes, basils,olives, cheese, sauces, pepperonis) Bake pizza in oven & serveoven fresh. Pour soft drink from real cold drink maker machine incustomizable cups. Decorate & customize food table withmultiple food addons alongside pizza. Learn to cook & makecheesy mouthwatering pizza in no time. share your recipes with yourhungry friends & families. Ditch the tiring effort of findingpizza coupons & No need to wait for pizza home delivery fromshop & pizza restaurant.Kids tie up your aprons to make yourown pizza at home. Girls its time for some cooking class lessonsprove yourself to be the best pizza baker in town. Pasta shop, trattoria, cantina: call it what you want, as long asyou serve delicious food!Open your own Italian restaurant and befast to manage your clients’ orders and cook all kinds of juicypasta!Serve perfectly al dente noodles and many other tasty andtypically Italian dishes, using several fresh ingredients to makeclients feel as if they’re tasting authentic Italian mamma’scooking! Cook fast like a chef and keep your clients happy sothey’ll never want to go shopping for instant mac’n’cheeseagain!HIGHLIGHTS🍝DASH to cook and serve delicious italian food toevery customer in 100 thrilling levels! Be quick to keep everyonehappy and satisfied with your cooking!🍝COOK with many kinds ofingredients, from creamy cheeses to fresh vegetables and spices,and serve the most authentic italian dishes in town!🍝CUSTOMIZE yourPasta Shop with different items and decorations to create thatperfect italian trattoria mood!🍝UPGRADE your kitchen with differentappliances and machines and expand your restaurant’s menu! 🍝GROWyour business and see more and more customers coming to yourrestaurant as you beat more levels and get ready for spicierchallenges!Carbonara, spaghetti bolognese, lasagna...you can makeso many incredibly delicious variations of pasta that it’s hard toknow where to start!Show off your chef-level cooking and managingskills by turning your little cantina into a famous Italianrestaurant, with a well-equipped kitchen and the most authenticneapolitan ambiance!Provide a satisfying experience for everycustomer and see your pasta shop’s fame spread all over! Make youmacaroni the talk of the town and earn tons of cash!Open yourItalian Pasta Shop now!Please note! This game is free to play, butit contains items that can be purchased for real money. Somefeatures and extras mentioned in the description may also have tobe purchased for real money. Start and expand your own café! Grow fresh ingredients on yourorganic farm and cook hundreds of dishes from all around the world!Upgrade your kitchen with new appliances and invite your friends tojoin the fun! All that and much more awaits you in this excitingFREE time management game! Do you fancy cooking classicAmerican meals, do you obsess over the intricacies of exquisiteJapanese food, or do you prefer the delicious aroma of Italiandesserts – then you're in for a treat! It’s your chance to shine,so turn up the heat and cook mouthwatering burgers, spicy-hotpizzas, crispy fresh salads and delightful pastry – thepossibilities are truly endless! 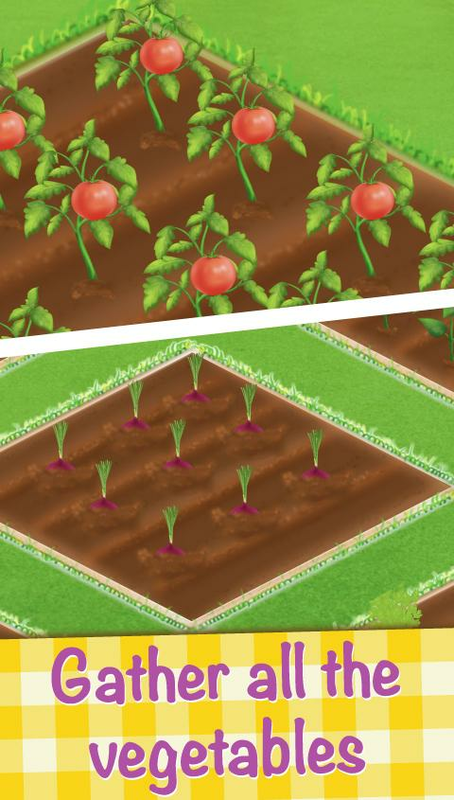 In need of gourmet ingredients?Then roll up your sleeves and cultivate your personal eco garden toproduce first-class organic vegetables, fruits and grains! Upgradeyour kitchen with dozens of modern appliances and elevate yourcooking to great new heights! Sounds good? It gets better!Help your guests feel at home by choosing from a vast variety ofdecorations and enhancements for your cafeteria, then go online andshare your accomplishments with your friends. Better yet, invitethem to visit your unique bustling establishment, filled withlovely flavors, amazing aromas and most importantly – a wonderfulmood. After all, it's called Happy Café for a reason! It’slovely, it’s happy and it’s totally FREE! Don’t hesitate, just jumpright in – the sunny tropical paradise awaits its chef! •Start your own café! • Create delicious new recipes and explorenumerous international cuisines, including American, Italian,Japanese and many more! • Set up your own organic farm and growfirst-class gourmet ingredients! • Decorate your café to yourliking! • Cook burgers, pizza, sushi, salads, and other meals froma huge selection of more than 100 recipes! • Upgrade your kitchenappliances, expand your territory and invite your friends to helpyou! Pizzas are so tasty and yummy to eat but what is better than eatinga pizza? Making one of course! With the Pizza Margarita cookinggame you can get your hands dirty and create the perfect cheese andtomato pizza that is mouth-watering to the eye. Here you cancollect all the ingredients, prepare them, mix and cook them, andthen prepare and decorate your pizza ready for the final cookingand eating stage. See your final result with the hot steamy pizzathat is just mouth-watering and tasty to look at. The best part ofall is after you have made your pizza you get to eat it! Therereally is nothing better than the Pizza Margarita cooking gamewhere you can create and cook your very own perfect pizza like aprofessional chef! - CHOOSE your ingredients from the fridge -PLACE all ingredients into the blender and turn on - TURN the doughusing your hands until it is soft - COOK and CUT the tomatoes readyfor use - ROLL the dough to flatten out the pizza base! Enjoy thetaste! Cooking is always a great pass time and what better way to havesome fun than with this mini burgers casual cooking game! Perfectfor the family, let your inner chef run wild as you create theperfect masterpiece burgers for you to enjoy. Here you can easilyslice up all the ingredients including lettuce, tomatoes, andcheese ready to place onto your burger before cutting your bun inhalf! Next you get to become the ultimate chef and prepare, rolland cook your meat patties on your own specialized oven beforecreating your perfect cooked food by placing all the ingredientsonto your bread buns! Lastly you can easily enjoy eating all yourmini burgers and savour the flavor with this fun mini burgercooking game that you and your friends will enjoy! Features:COOKING game fun! Slice the tomatoes into thin small slices! CUTthe lettuce into small sliced pieces for easy eating! SLICE thecheese so it is in small thin slices ready to put on your miniburgers! CUT the bread buns in half ready to place your ingredientson! PREPARE the meat and roll them into balls before cooking themeat patties on a hot stove grill! LEARN AND CREATE your miniburgers by placing the lettuce, tomato, burger meat, cheese, herbs,and sauce onto your bread bun! KEEP your mini burgers in place bypushing a small stick through the center of them! ENJOY eating yourcooked mini burgers all up before anyone else has a chance to!